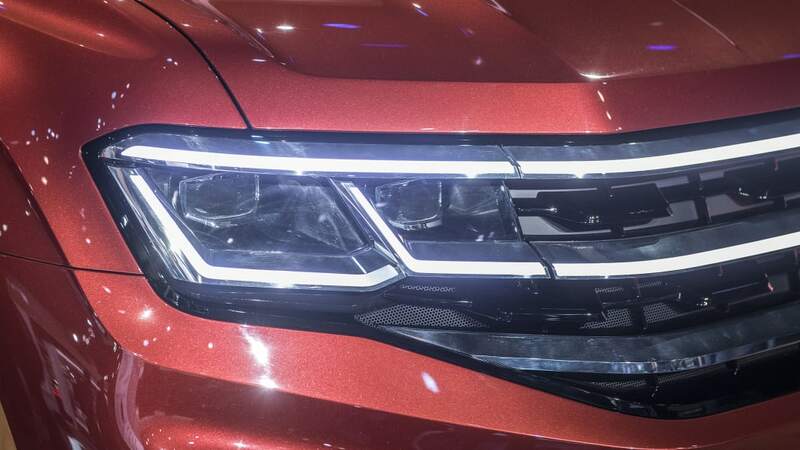 The Volkswagen Atlas Sport Concept previews a five-seater Atlas soon joining Volkswagen's SUV arsenal for the U.S. market. 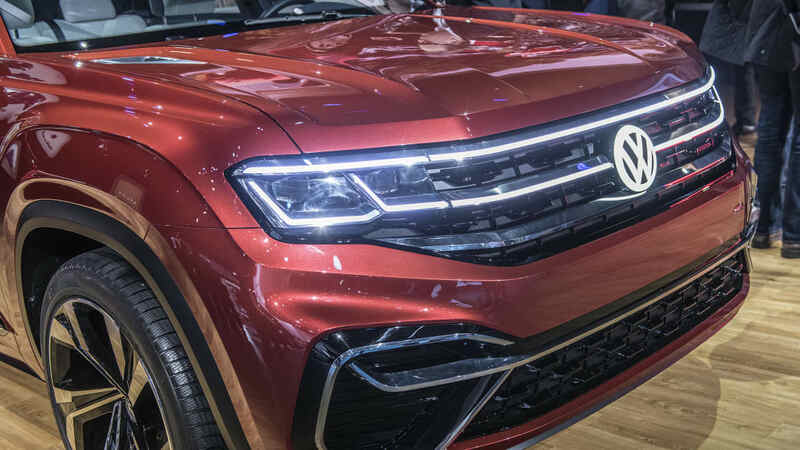 To be built in Chattanooga, Tennessee in 2019, this lightly disguised concept mixes seven-seater Atlas exterior with a cues from the recent new-generation Touareg and some hybrid powertrain tech we haven't seen from VW yet. 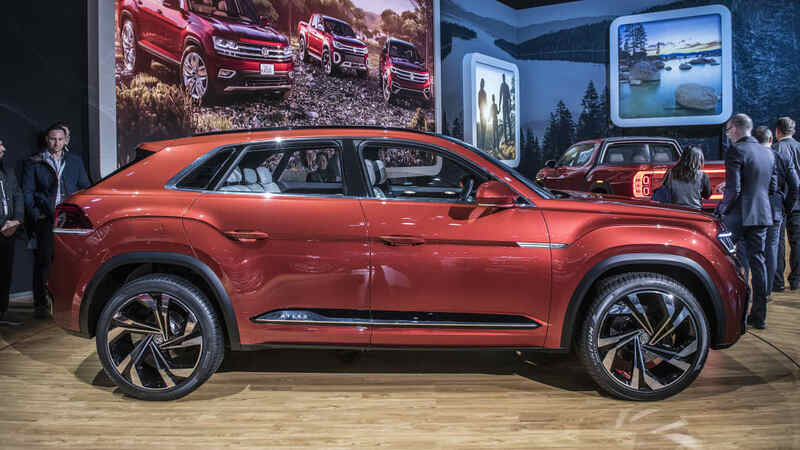 At 7.5 inches shorter than the seven-seater but on the same wheelbase, and with short overhangs, the Atlas Sport Concept wears its chunkiness well. 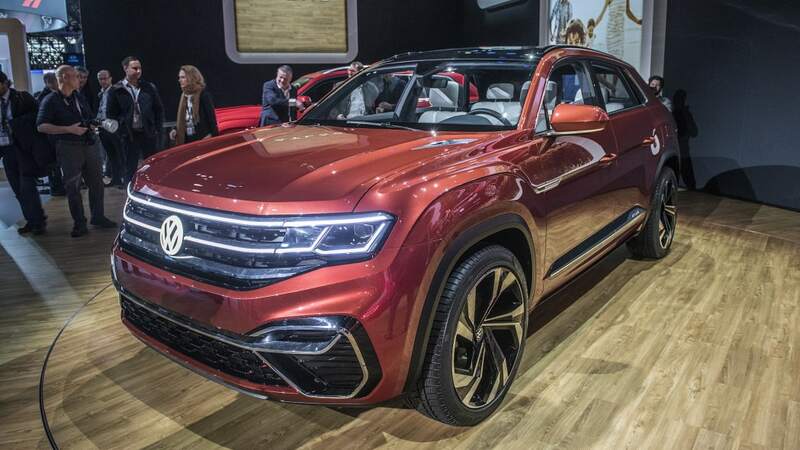 The concept is 1.5 inches wider and 1.7 inches shorter than the seven-seat Atlas, so you can expect similar proportions from the retail model. 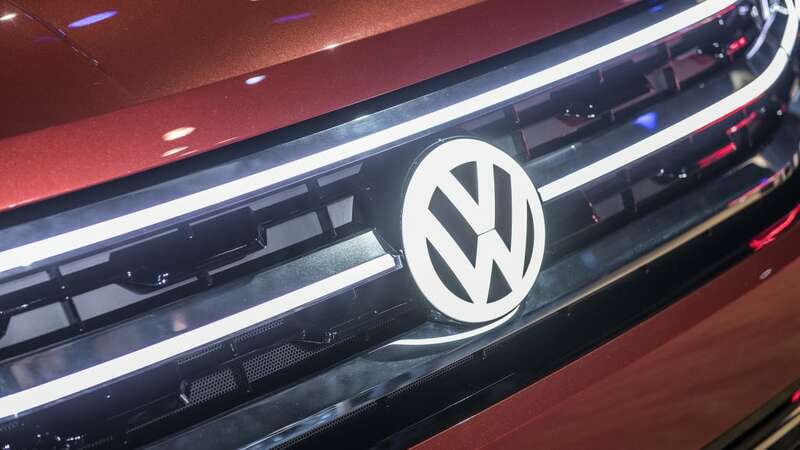 Since this is a near-production vehicle, the sole purely decorative touches outside appear to be the illuminated two-bar grille, "exaggerated tailpipe surrounds," and 22-inch wheels. Otherwise, everything could easily make production. 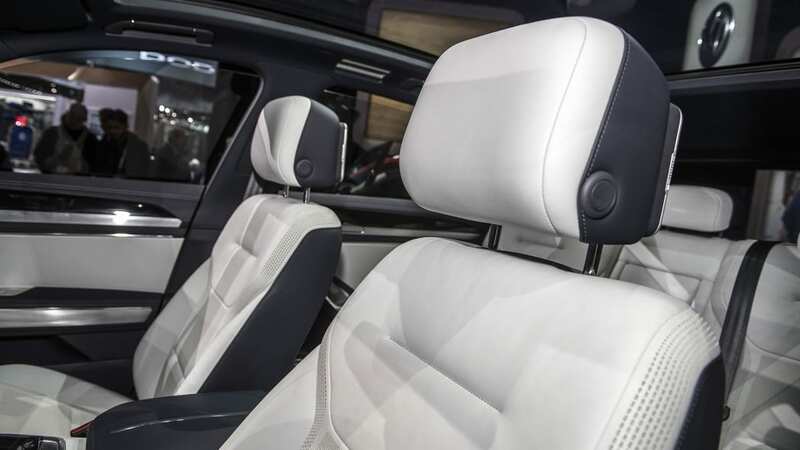 Inside come shades of the new Touareg. The now-familiar 12.3-inch digital cockpit sits ahead of the driver. 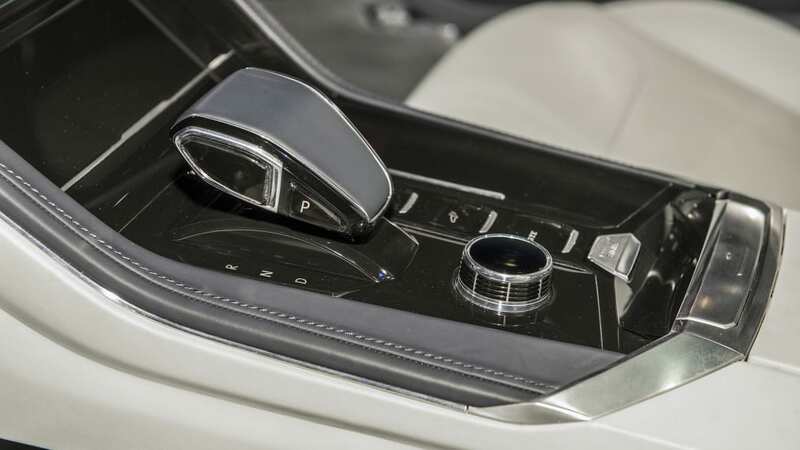 A 10.1-inch touchscreen occupies center stage on the horizontal-dominant instrument panel. All of the crossover's infotainment and convenience controls are controlled via the touchscreen, which also recognizes gestures. 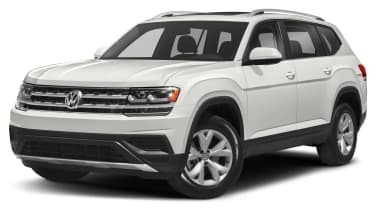 The nav system can display a 3D map composed of three or more levels, with each level tracking the vehicle and a new piece of data, like points-of-interest or altitude. 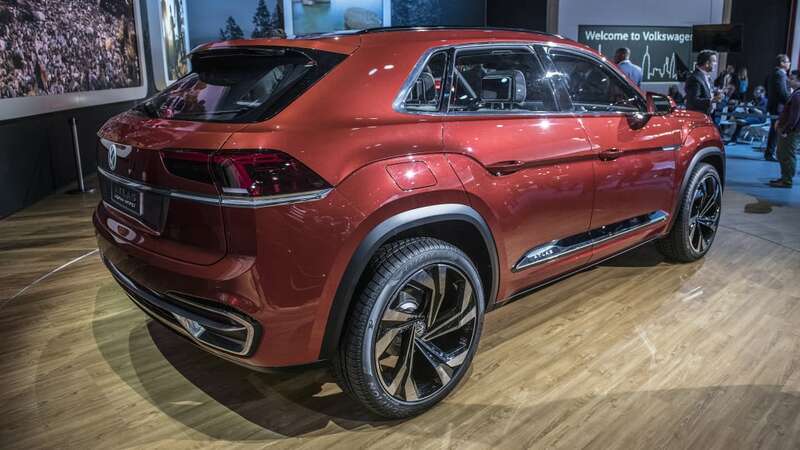 The marquee conceptual powertrain is a plug-in hybrid powered by the same 3.6-liter V6 with 276 horsepower and 266 pound-feet of torque in the bigger brother, assisted by two electric motors. 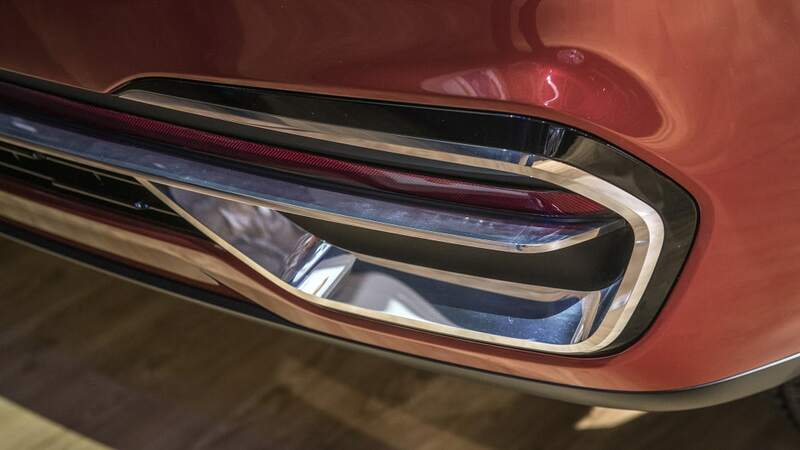 The front electric motor makes 54 hp and 162 lb-ft, the rear motor gets 114 hp and 199 lb-ft. An 18-kWh lithium-ion battery sits underneath the center tunnel, able to power the vehicle through 26 all-electric miles. Total system numbers equal 355 hp and 494 lb-ft. A six-speed dual-clutch gearbox takes car of shifting. Acceleration from 0 to 60 miles per hour can be done in 5.4 seconds, on to a top speed of 130 mph. There are five battery-related drive modes. 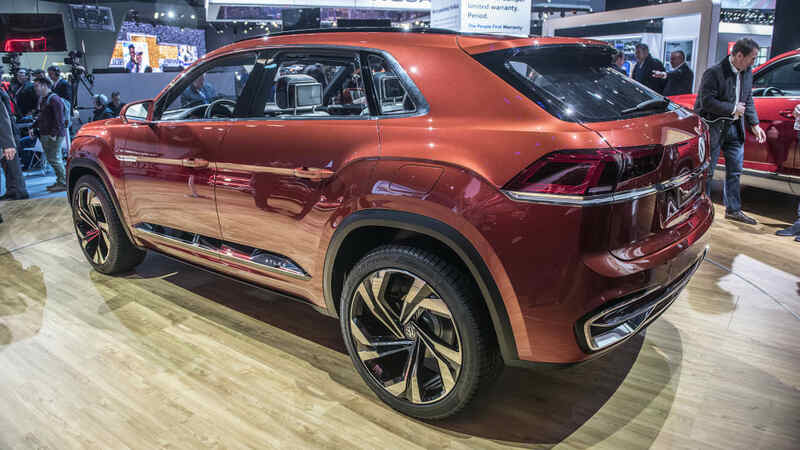 The all-electric E-Mode is the default, assuming sufficient battery power, and the Atlas concept runs in rear-wheel drive when operated as an EV. Hybrid mode automatically clicks in below a certain battery charge level. 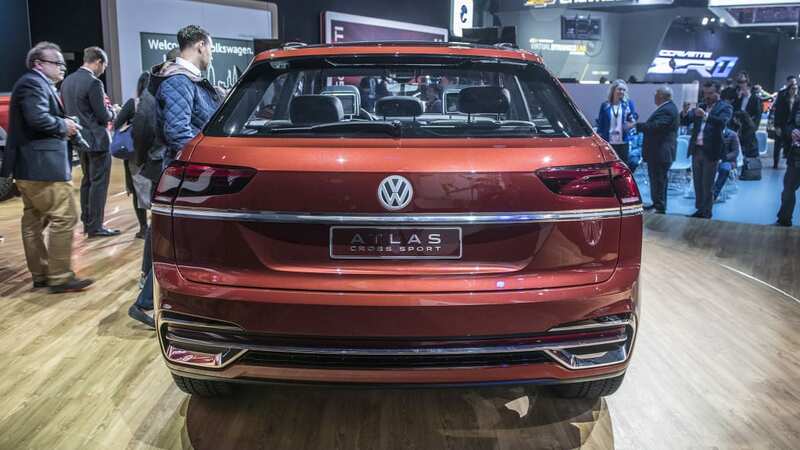 Now the Atlas Sport is a front-wheel drive vehicle with on-demand engagement of the rear axle, using both the V6 and battery juice for power, harvesting energy from the electric motors during coasting and braking to recharge the battery. GTE mode is another name for Sport mode, and has a torque boost function that can unlock maximum system torque of 494 lb-ft. Off-Road mode defaults to all-wheel drive. 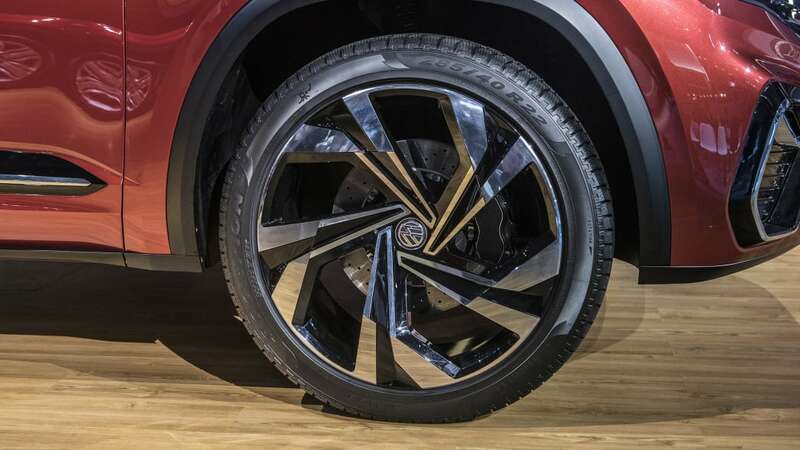 In a bit of chicanery called an "electric propshaft," when the battery runs low in Off-Road mode, the gas engine charges the front electric motor, and the front electric motor sends power to the rear. The Battery Hold/Battery Charge mode maintains the present charge level, or refills the battery for future electric use. 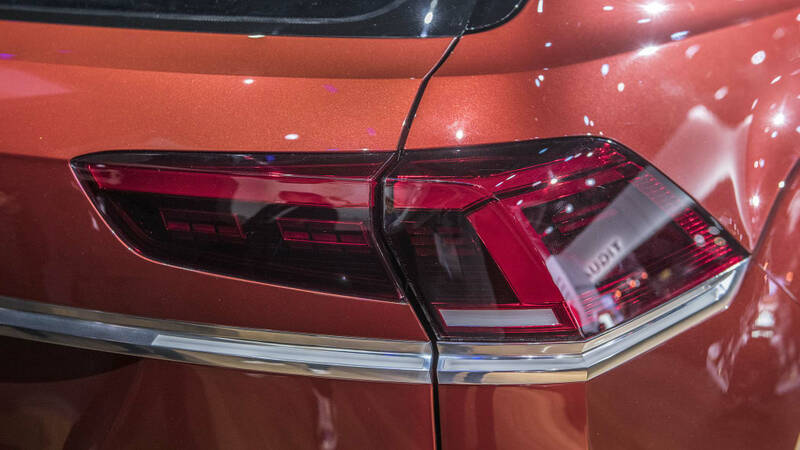 A mild hybrid forms the second powertrain option, with a V6 engine helped by a 2.0-kWh battery. In this guise, the Atlas Sport would offer 310 hp and start in Hybrid mode. On top of those choices, the 4Motion system presents seven drive profiles of its own that give finer choice to the above modes. 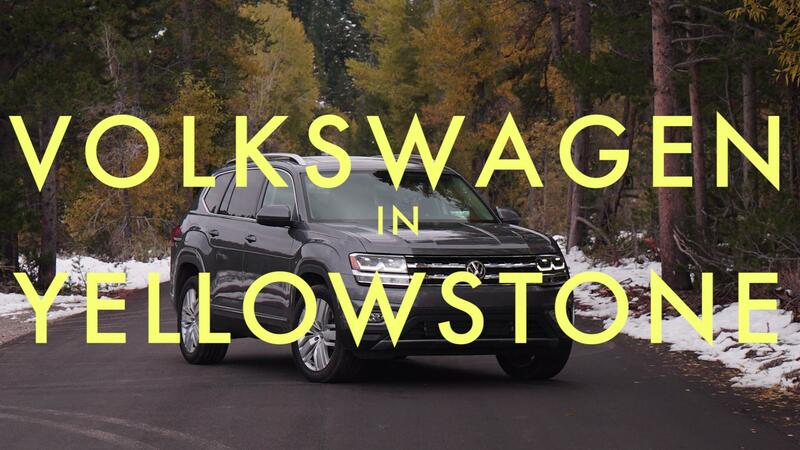 On-Road breaks down into Eco and Comfort settings, Off-Road covers Rocks, Sludge and Sand, and Gravel, the above-mentioned Sport mode, and a Snow mode. The graphics in the infotainment center and the digital dash change to suit each profile. 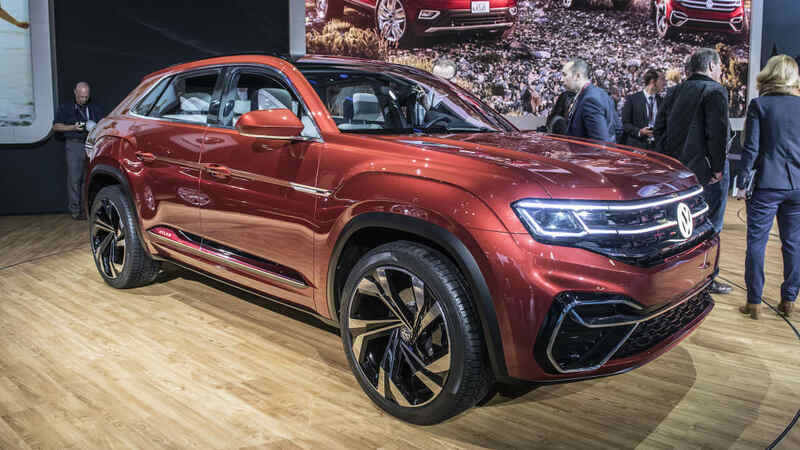 We can probably expect to see the production version of the five-seat Atlas late this year before it goes on sale sometime next year.